In the age of video streaming, Ocular Rift, and Sean Parker’s proposed day-and-date VOD service Screening Room, what remains about movies that demands theater attendance? A. O. Scot and Manohla Dargis hash out the latest death notice the movies have received, Scott playing up the cautiously optimistic angle (Without wanting to play the devil’s advocate—or Sean Parker’s—I’m not entirely sure that streaming is necessarily an existential threat to moviegoing…. And also, not to be completely heretical, what’s so sacred about “the darkened cinema” anyway?”), Dargis the, I’m going to say realistic, viewpoint that industries being what they are, little good will come from letting them have their way (“It’s nice that we can pay five bucks to stream a crummy studio movie that looked too awful to leave the house for, I suppose, but I had superior, more interesting choices at my local video stores than I do with Netflix streaming (no Douglas Sirk!) or even Amazon. If you want to stream nonindustrial product, you often need to do time-consuming digging online”). “Shortly after her death in 1977, Crawford’s adopted daughter Christina published “Mommie Dearest,” a memoir detailing her mother’s alleged abusive nature, alcoholism and neuroses. Katharine Hepburn, Myrna Loy, her first husband Douglas Fairbanks Jr., her two youngest daughters and others close to her denounced the book. But with Frank Perry’s 1981 film adaptation, featuring Faye Dunaway’s shrieking, hollow, larger-than-life performance, the damage was done. In just 129 minutes the film unravels what Crawford had been building for herself since first gracing the screen in the late 1920s. It turned the image of Crawford in the cultural imagination into a monstress, a soulless camp icon to be mocked and reviled but rarely respected, and a cautionary tale of what happens when women put their careers first.” Angelica Jade Bastien sets the record right; whatever the veracity of Christina Crawford’s charges, her mother should be remembered first as a daring, surprisingly mercurial actor who only ever let her staunch professionalism tamp down an energy that could overwhelm any of her co-stars. “Growing up in the Minnelli world is often a harsh state of affairs, just ask Tootie Smith in Meet Me in St. Louis (1944), Gigi or Sandra Dee in The Reluctant Debutante (1958). Behind the colorful, gorgeous scenery and fantasy of Minnelli’s movies is always the cruel reality of, well, reality. St. Louis isn’t as great as New York. Van Gogh went insane creating his art. Buying a 43 foot trailer probably wasn’t a good investment. Appeasing the desires of a sad teenage boy might not have been the smartest idea in the world. These are all truths that are plain to see while watching the movies, but it all somehow seems gloomier after being wooed and wowed by Minnelli for a couple of hours.” After the death of her beloved Dachshund, Sara Freeman found consolation, and the recognition of how much grief had left her wanting to hold fast to any traces of her lost companion, in the muted efforts at normalcy and eventual stabbing pains of The Courtship of Eddie’s Father. “Before Eastwood, the project had passed through the hands of Frank Sinatra, Steve McQueen, Burt Lancaster, and Paul Newman (the latter two of whom reportedly passed because they found the story’s social message distasteful), and both Terrence Malick and John Milius had taken a crack at the screenplay. But the pairing of Eastwood and Siegel made sense, because they’d already collaborated on a gritty urban thriller: 1968’s Coogan’s Bluff, about a no-nonsense modern Western sheriff working a case in New York City.” Noel Murray rewatches the five Dirty Harry movies, finding a pair of masterpieces (Eastwood’s own Sudden Impact edging out Siegel’s original) and three lesser but still entertaining films that set the template for bruising American policiers, while having a lot to say about Eastwood’s one-for-me-one-for-them dance with Hollywood. “Even with this hindsight, it’s difficult to defend Sofia Coppola’s performance these days without seeming pointlessly contrarian. I’ll bite. In a cinematic universe obsessed with the furies of manhood, Sofia’s Mary—propelled by nothing but a basic sincerity of feeling and a longing for human connection—acts as an antidote to these big, blustering lumps of testosterone collapsing under the weight of their own egos. The Godfather Part III is a titanic film that lacks humanist granularity. She anchors it in honesty.” Mayukh Sen sticks up for one of the most universally reviled performances in movie history, finding Sofia Coppola’s role in The Godfather Part III charged with the raw, bracing air of a young woman embracing the truth of her emotions even as they cripple her; she does leave open the question of how inadvertent the triumph is on Coppola’s part. ““Sometimes when you dream, the images are neutral, but they have a real emotional charge that doesn’t seem to fit… That’s what I’m trying to capture. When I start a film, I never really know what it’s about, and I want to find out—to explore that zone of mystery.” And now, a dozen years after her debut feature, Lucile Hadžihalilovic has returned to exploring with Evolution. Hadžihalilovic talks about the different reactions to her portrait of young boys in her latest film from that of young girls in Innocence, and the handful of current directors she considers kindred spirits. “I think that people expect to be lied to [by movie directors]. I think they’re not put off, but destabilized, by honesty. I think that’s definitely true in the world of mainstream studio movies. I think there’s a lot of power struggle [sic] and I think they’re used to people manipulating to get what they want. And I just don’t. I’m not going to go, ‘I’m just going to tell her this, but the truth is I’m going to do this.’ It’s never going to be my way.” Jodie Foster discusses directing—the preferred arm of her career, despite just four features to date—with Margy Rochlin. Via Movie City News. “I had a lot of fun doing it, but what I brought away most significantly from doing that was, one day Cheech and I were out just looking up at the sun and enjoying that wonderful weather of Southern California at the time. And I said, ‘What a wonderful way to make a living.’ And he said, ‘Yeah, man, it sure beats roofing for a living.’ So that’s my stock line. ‘It sure beats roofing for a living.’ You see the things you pick up that are really important? This is the stuff that’s really important that you take away from the work.” Tom Skerrit shares some lessons learned working with Altman, Ashby, Redford, and Up in Smoke’s Cheech Marin with Michael Sragow. “I was immune, yes I was. You can see I worked right through [the scandal], undiminished. Made films all through those years and at the same rate I was making them. I’m good that way. I am very disciplined and very monomaniacal and compartmentalized.” Talking with Stephen Galloway, Woody Allen discusses LA vs. New York, reading vs. catching up with the Knicks, and ignoring the controversies surrounding him with a dispassion that justifies his fairly chilly self-description above. “The only thing I can recall being allowed to improvise was the little singsong ‘I don’t know what to do’ chant in Pierrot Le Fou. 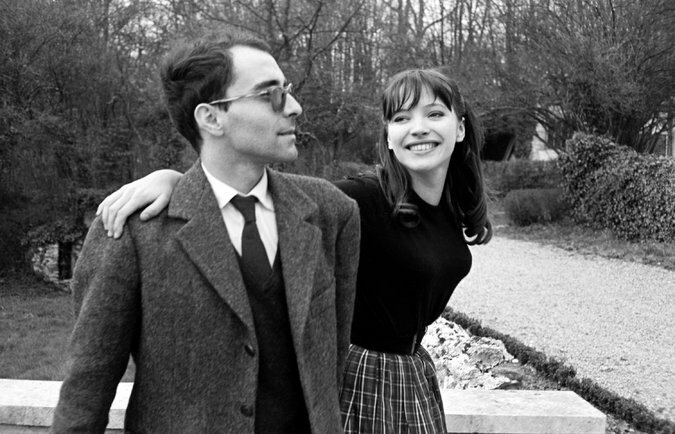 Which I came up with because I literally did not know what to do!” Anna Karina talks with Glenn Kenny about that remarkable collaboration, professional and personal, between herself and Godard. Karina is in the states to promote and introduce new prints of the series, which has prompted some thoughts from Richard Brody about what the actor-director pair brought, or rather returned, to cinematic acting (“Karina didn’t become the characters she played; they became her. In this regard, her work with Godard (like that of other actors in his films) is close to the achievement of Joan Crawford, John Wayne, or other Hollywood icons whose limitations and artistry are inseparable. 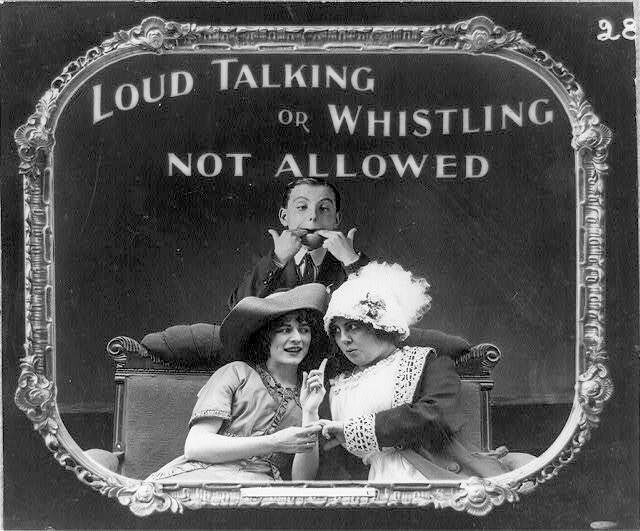 The difference is that Crawford and Wayne came to prominence in an era in which their style of performance was at the core of the industry.”) And to take this from words to images, and to remind us her career was vital even after the inevitable parting of the ways, Adrian Curry presents a series of posters featuring Karina, with nary (or, technically, barely) a Godard in the bunch. 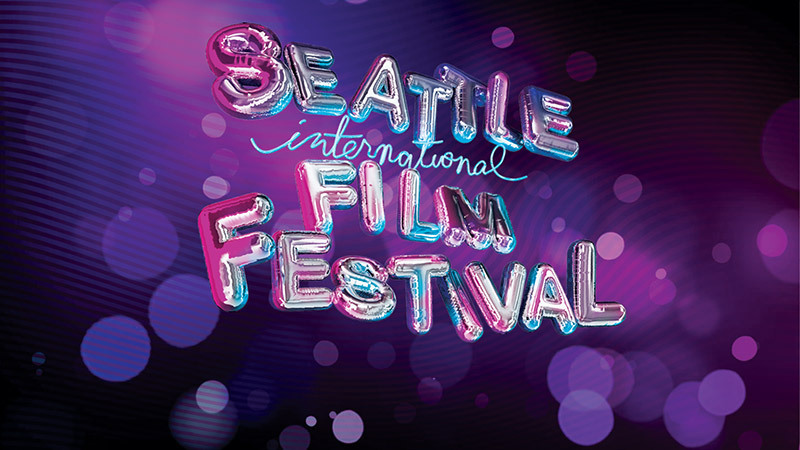 SIFF has released the schedule for the 42nd Seattle International Film Festival. Preview here. Translations: Seattle Transgender Film Festival 2016 opens on Thursday, May 12 with the opening night screening of the documentary Major! at SIFF Egyptian and continues through Sunday, May 15 with screenings and events at NWFF, 12th Ave Arts Building, SIFF Egyptian, and other venues. Schedule and tickets here. Max et les Ferrailleurs (1970), directed by Claude Sautet and starring Yves Montand and Romy Schneider, plays on Thursday, May 5 at Plestcheeff Auditorium. Individual tickets are available on the day of show on a first come, first served basis. Details here. It’s not too early to put “Framing Pictures” on your calendar. The monthly film discussion convenes in the screening room at Scarecrow Video on Friday, May 13, with your hosts Robert Horton, Richard T. Jameson, and Kathleen Murphy.